The Dunlop Sportmax Qualifier is an ultra-sport tyre designed for front wheels. It has a radial carcass. Its grip level is excellent. 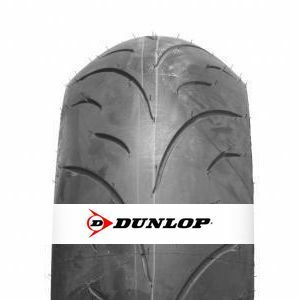 It is designed for supersport motorcyclists who need to have full confidence in their tyres under all circumstances. Excellent reliability and long tyre life. The warm-up time is significantly reduced. Very good stability in corners, even at high speeds. To review the Dunlop Sportmax Qualifier, you first have to log-in by clicking here.